We will assess the unique structural features and systems of your commercial space. Our commercial building inspection ensures your property is safe and sufficient for your business needs. A pre-listing inspection allows you to see your home through a buyer’s eyes. Don’t be caught off guard during negotiations when the buyer’s inspection uncovers defects of which you weren’t aware. This inspection gives you the means to address repairs at your convenience. It enables you to know the true condition of your home before you place it on the market and can help facilitate an accelerated sale. Having a third party, unbiased inspection of your newly built home is the best way to ensure that building practices and materials are built with integrity. We will inspect your home for defects during the construction process that should be addressed before the builder’s final walkthrough. 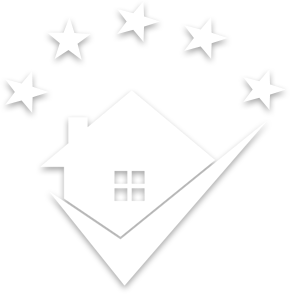 A four-point inspection evaluates these major systems of your home: roofing, heating and cooling, plumbing, and electrical. This type of inspection is a valuable way to ensure your rental or investment property is secure or obtain homeowners insurance on your older home. When you are having repairs made, you want to guarantee that workmanship complies with building codes and industry standards. We will return after your first inspection to evaluate the competence of repairs made based off our initial findings. Destructive wood-destroying organisms (WDOs), such as termites, can present an immediate threat to your home’s structural security. We provide WDO inspections to determine if the presence of these pests exists within your home. Moisture intrusion can lead to mold growth in your home. We will visually inspect your home for signs of moisture intrusion and use an advanced moisture meter to find places where water could be an unseen problem. If we uncover evidence of mold and moisture, we will recommend ways to begin the mitigation process. Radon is a carcinogenic, naturally occurring gas. Its danger lies in the fact that it is colorless and odorless and is linked to lung cancer. We provide state-of-the-art radon testing to verify that radon levels in your home are safe. We are state-certified well and septic inspectors. From the quality of your drinking water to the efficiency of your septic system, we can ensure that your home’s water system is safe and functioning properly. Mich-Inspect offers HUD Manufactured Home Certifications to certify that the construction of the home meets the HUD’s Standards for Construction and Safety. This inspection includes plumbing, electrical, structural requirements, fire safety, and thermal protection.